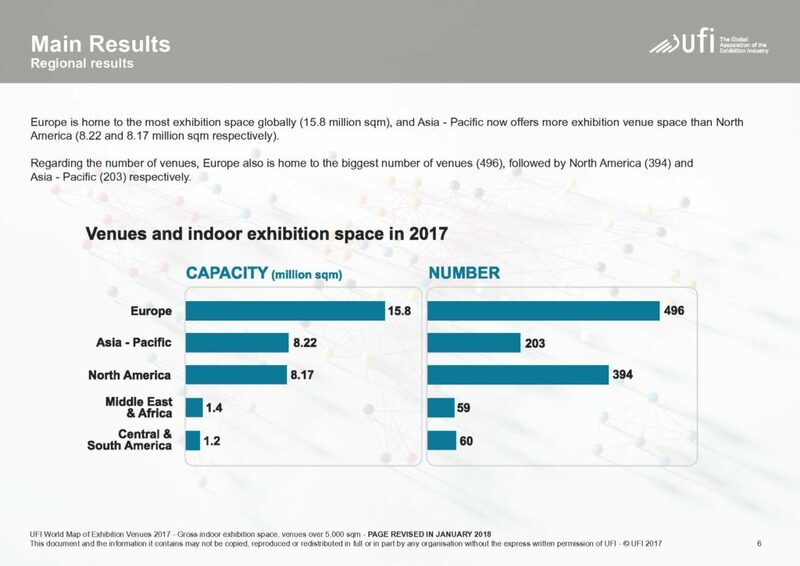 For anyone who missed UFI’s World Map of Exhibition Venues last month, the total amount of exhibition space available around the world grew 7.7% over the last six years, giving organisers more choice in all markets except Central and South America, where venue closure has led to contraction. But while this overall growth does not explicitly refer only to bricks on the ground where none previously existed, it seems to me that we must not fixate only on new venue development. While there are 14 more exhibition venues able to cater for shows in need of more than 100,000sqm of space than there were in 2011, there are many existing large venues that are for all intents and purposes not officially on the menu for private organisers. Or were. In Poland, management at the 143,000sqm exhibition venue Ptak Warsaw Expo has undertaken to improve business by opening the venue to private event organisers. While the venue may have existed since 2015, it has only now become eligible for international organisers. 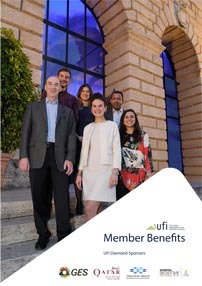 The same is true in the south east of Europe, where the majority of venues are still under exclusive public ownership and management, run by cities, chambers, counties and states that bar the international investment that accompanies opening doors to private organisers. I’m reminded of Churchill’s comments that some regard private enterprise “as a predatory tiger to be shot, others look on it as a cow they can milk, and not enough see it as a “healthy horse, pulling a sturdy wagon”. In the past three to five years public tenders have taken place in Ljubljana (Slovenia), Novi Sad and Belgrade (Serbia), sadly without success. 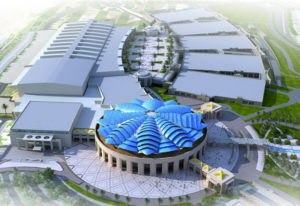 The result is that trade fair infrastructure in the region, already hardly what you’d call state-of-the-art, does not appear on the international organiser’s radar. Taken as a whole, Europe retains its global lead on available venue capacities with 45 per cent of the global market share (down two per cent on 2011, interestingly), ahead of Asia-Pacific with 23.6 per cent (up 3.2%) and North America with 23.5 per cent (down 1%). Outside of the top five countries/regions (USA, China, Germany, Italy and France) accounting for almost two-thirds of the world’s total indoor exhibition space, how much untapped potential already exists in countries or states yet to understand the economic impact an international, privately organised exhibition can bring to their city? Perhaps rather than building exhibition venues, we should be impressing upon public sector venue management the positive impact that opening the doors to private event management could have on their city. Plant seeds, rather than foundations. But how? Influencing policy makers, bringing in examples from elsewhere is crucial. Governments don’t act on supposition or anecdotal evidence, they act on demonstrably calculated forecasts. If there isn’t rigour, then it won’t stand up to public sector scrutiny. Examples of the benefits of inviting private enterprise must be given at local level, not national or supra-national level. New venue projects are great, but to paraphrase Douglas Adams: there’s a lot of space out there.